The effects of dividend policy on rs may be considered in terms of four factors: (1) stockholders' desire for current versus future income, (2) perceived riskiness of dividends versus capital gains, (3) the tax advantage of capital gains over dividends, and (4) the information content of dividends (signaling). Since we discussed each of these factors in detail earlier, we need only note here that the importance of each factor in terms of its effect on rs varies from firm to firm depending on the makeup of its current and possible future stockholders. It should be apparent that dividend policy decisions are truly exercises in informed judgment, not decisions that can be quantified precisely. Even so, to make rational dividend decisions, financial managers must take account of all the points discussed in the preceding sections. 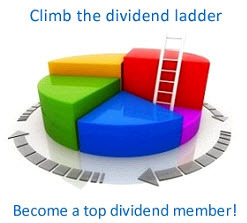 Identify the four broad sets of factors that affect dividend policy. What constraints affect dividend policy? How do investment opportunities affect dividend policy? How does the availability and cost of outside capital affect dividend policy?